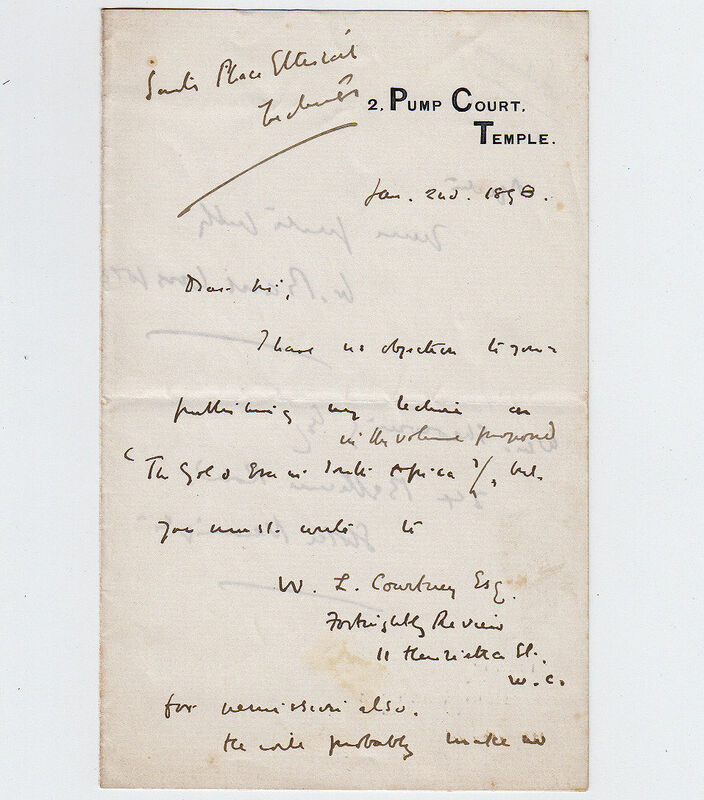 Autograph Letter Signed, to William Sheowring, permitting the publication of his lecture on South African gold. 2 pp. 7 x 4½ inches, fine. 2 Pump Court, Temple, 2 January 1898. William Basil Worsfold (1858-1939) wrote books on South Africa and in 1904 was appointed editor of the Johannesburg Star, a post which brought him into close contact with Lord Milner, High Commissioner for South Africa.